Avant-garde tabletop guitarist Kevin Drumm was born and raised in 1970 in South Holland, IL, playing in a handful of rock bands before relocating to Chicago in 1991 to work at the city's Board of Trade. He soon began his experiments with prepared guitar, applying objects including magnets, binder clips, chains, a violin bow and even toenail clippers to distort the instrument's sound; in time Drumm befriended a number of members of Chicago's growing improv community, including Jim O'Rourke (with whom he served in Brise-Glace, additionally contributing to Gastr del Sol's Upgrade and Afterlife album and Ken Vandermark. In late 1997 Drumm made his solo debut with a self-titled (Perdition Plastics) and has released superb duo records with Taku Sugimoto (Sonoris), Axel Dörner, Martin Tètreault (both Erstwhile) and Ralf Wehowsky (Selektion). 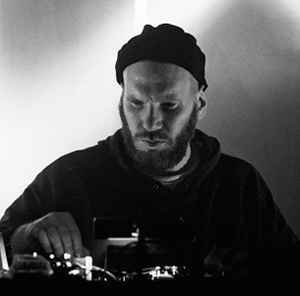 Kevin Drumm has recorded and performed with Phill Niblock, Tony Conrad, Jim O'Rourke, MIMEO, Mats Gustafsson, John Butcher, Thomas Ankersmit, Taku Sugimoto and many others. I really adore everything he's ever made. So unique, so singular, visionary, luminous. Jaap Blonk got a nose bleed in Chicago and ABORTED CHRIST CHILDE and KEVIN DRUMM were there. Kevin always had good taste, even befor metal was in. How'd he chisel this discography and these affiliations out of a sound refusal to orthodoxy? When first interviewed by WW for his zine about Drumm's sweaty nig-rigged tabletop configs we never knew'd it go this far. It seemed too "experimental" to survive. Is he hiding something in that prominent brow that won't ALLOW him to make in a reg'lar way?